I’m nervous. I’m anxious. I’m excited. I’m scared. Tomorrow I will run my first ever marathon. 26.2 miles on the famous Silver Comet Trail. I’ve run 3 half marathons and a few 5Ks and 10Ks in the past few years. I’ve also run as much as 20 miles in my training for this marathon. But that last 6.2 seems so intimidating. 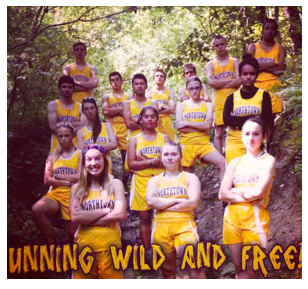 The race tomorrow is the culmination of something I’ve been dreaming about for 14 years. I first started running as a hobby back in 2003. I would just do a couple miles around the neighborhood for fun with no real goals in mind besides burning a few calories. I never had a schedule for running or anything like that. I definitely didn’t (and still don’t) classify myself as a runner. Through the years my hobby developed into my favorite type of workout. It also turned into a time of reflection and escape. Music and later podcasts have been essential to my runs. I started off running with a Walkman, then a Discman, an iPod classic, an iPod shuffle (the touch screen that clipped onto your clothes, my personal favorite), and now an iPhone. Even though I’ve always got something in my ears, my thoughts are never more clear than when I’m running. I’ve created many a blog and lesson out on the trails over the years. After a few years I started to envision running a half marathon. I didn’t think I’d ever be able to accomplish a full, but a half seemed somewhat realistic. After bouncing around the idea for years I finally hatched a plan with a couple of students of mine. We ran the Greenwood Half Marathon in 2011. It was one of the proudest accomplishments of my life. I first spoke my marathon goals into existence when I was preaching at First Baptist Church Mableton in the winter of 2015. I delivered a message about running the race God puts before us and used my first half marathon in 2011 as an illustration. At that time I had not run another long race yet due to injuries and complications. But I was ready to give it another shot. So I spoke my goal to the 200 or so in attendance knowing they would hold me accountable to it. My plan was to run the Silver Comet Marathon in October of 2016. I ran a half marathon in the spring as a sort of test run and everything went well. I started a 5 month training plan I found online. My wife even joined me for the training as she made plans to run the Silver Comet Half Marathon at the same time. The training was going smoothly until about the halfway point. Once again, as I had done a few years prior, I tweaked something in my leg. This time it was in my right foot/calf area. It’s hard to explain as yet again I didn’t get a clear diagnosis from the doctor, but for a few weeks I could not run without a sharp pain in my right leg. I was devastated. I debated whether I could try to jump forward in the training plan and conquer the marathon. But I knew that would not be a wise decision. So once my foot started feeling normal I joined my wife in her half marathon training. We ran together 13.1 miles and had an incredible experience. I wasn’t sure if I would want to go through the training experience again. But I knew I had to live up to my words. The training has been incredible. When I had my first run longer than a half marathon I was terrified. Yet the training plan worked. I was able to run past my farthest point and finish with strength and energy to spare. That’s not say it’s been easy. I’ve endured blisters, bleeding and chafing. I’ve chugged down all manners of gels. I’ve sweated more than I thought humanly possible. But now I’m here. Unfortunately my right foot has been acting up again this week. It’s giving me tinges of the same pain I felt last year. I’m doing everything I can to work out the issues these last few hours. I’m also panicking because of the weather. The forecast is for heavy rain along with chilly temperatures. I’ve only run in the rain a couple of times during my training. It wasn’t terrible, but I don’t know if I can handle all 26.2 miles with soggy socks and shoes. I’ve spent the last 24 hours reading everything I can about how to handle a rainy race day. At this point though I can’t control the weather. I can’t really control any of this. I have to be content with the work I’ve put in. I have to leave the rest up to God and have faith. So after a delicious pasta meal cooked up by request by my wife and a couple of episodes of Stranger Things 2, it’s time to go to bed. Mile 1. Ok Here it is. The big day. The day I’ve been training for. Kate prays for me right before the start and it’s perfect and beautiful and I try not to cry. I’ve got a couple of protein waffles and a banana in my belly. I’ve got on more layers than I anticipated due to the weather. And I’ve got some special tape on my right foot. I am ready for this. I want to go fast. But I’ve got to pace myself. Mile 3. I’m feeling great. This weather is actually pretty perfect. A bit chilly. But no real rain. This is flying by. My feet and legs are feeling really good. Mile 6. I’m gonna do this. I’m gonna get there. I may even make it under 5 hours. I thought I would be more in the 5:15 or 5:20 area but I’m killing it. Mile 10. This training really paid off! I haven’t stopped running yet. In training I never ran without a break longer than 7 miles. I may be able to run this entire race without stopping. Kate has shown up a couple of times already to cheer me on. I wasn’t expecting that, and it’s boosted my confidence so much. Mile 14. I spoke too soon. I’m starting to lose my adrenaline. My bones are starting to ache. But I’ve now completed a half marathon without stopping, which has far exceeded my expectations for this race. I’m tired but happy. So I’m taking a break. I’m walking for a quarter mile or so. That’s ok. I’m still on pace to shatter my goal time. Maybe I’ll change up from podcasts to music to give myself a spark. Mile 16. I’ve hit the turnaround point. (This trail has a layout where you veer off the trail for a bit so the turnaround is more than halfway.) My energy is really fading but it’s nice to know that I’m moving into the single digits of miles. I’m trying to break down the numbers in my head into smaller hurdles to face. I keep adjusting my armband, my running belt, my shirt, my hat, my headphones. Anything to try to give myself some momentary relief or comfort. Everything hurts. Mile 19. I’m over this. Ready to quit. Starting to walk more than run. Every time I try to run again it’s harder to get started. Kate shows up just when I need her to give me one last boost. She won’t let me quit. I get her to give me a different hat. I don’t really know why – maybe a dry hat will give me a little energy boost? My brain isn’t really functioning right anymore. Mile 22. I’m done with music and podcasts. At this point I’m just praying. The Lord’s Prayer over and over again. I’m singing praise songs to myself. I’m focusing on the Cross. I’m finding my strength in Jesus to push to the end because God knows I have emptied myself of everything I have. Mile 24. So much for breaking 5 hours. That’s ok. I’m extremely proud of my first half pace. At this point it’s just about crossing the finish line. Despite the exhaustion, I know it can be done. I’ve run this part of the trail probably a couple hundred times. I swallow my last gel packet and I push myself to run (hobble) these last couple of miles in. Mile 26.2. DONE. 5:34:03. No records were shattered. In fact I finished after what was supposed to be the cutoff. But I finished. I got my medal. I ran a marathon. Kate was there along with Rosie and our friends Andrew and Krystal and their dog Charlie. A moment I’ll never forget. Now for those tears I’ve been holding in since the beginning. But only for a second. There’s BBQ and a Frappuccino and a nice long bath waiting for me. Did that really just happen? Did I really just put a 26.2 sticker on my car? I think after all these years I can finally call myself a runner. I didn’t win the race. But I won my race. I didn’t set out to smash any records. I never intended to come in first place. My goal was to get across the finish line. 5 and a half hours later I did. To some that time may be laughable. That’s ok. It was a great time for me because I didn’t give up even though I desperately wanted to those last few miles. The training plan I followed worked far better than I could have imagined. It gave me the physical, and more importantly the mental strength to accomplish 26.2 miles. It gave me the confidence to know that no matter how I felt in the final few miles I could push myself to make it to the end. After every race I’ve ever run I swear I’ll never do another one. So I’m not ready to commit to another at this point. But I do love running. I’ve never been good at sports. I have always enjoyed them but never excelled at them. I struggle with comparing myself to others, and in sports I am always inadequate. So I avoid them. What I love about running is that I am able to compete with myself. The competition is in trying to better myself against my previous performances. And the competition is in just hitting the trail one more time and enduring the journey. The journey to 26.2 has been arduous and yet exciting. Impossible seeming and yet amazingly achievable. In the end I believe this is the race we all run: not in competition with one another, but out on the trail before our Lord, running at our own unique pace, cheering each other on, encouraging each other. We cannot be worried about the pace of others. The victory each day comes from getting off the couch and putting one foot in front of the other, each one of us heeding His call to run the race He has set before us. If you have a crazy dream or goal, I challenge you to go for it as I did. What I’ve learned from my marathon experience is that if you put in the work, follow the plan, and believe then you can cross the finish line too. Press on toward the goal. I am not a runner. Oh don’t get me wrong – I love to run. I enjoy the exercise, the time alone to think and listen to music and podcasts. Running refreshes and recharges my body and my brain. I made a huge mistake though when I confessed in church that I want to run a full marathon this year to celebrate my 30th birthday. People are going to hold me accountable to that. And that’s no good because I am not a runner. I try to run 2-3 times a week. But a lot of times it’s just once. Sometimes I even go a couple of weeks between runs. Earlier this week I got a notification from my Nike+ Running App. The App urged me to pledge to run as many miles as I could this week. 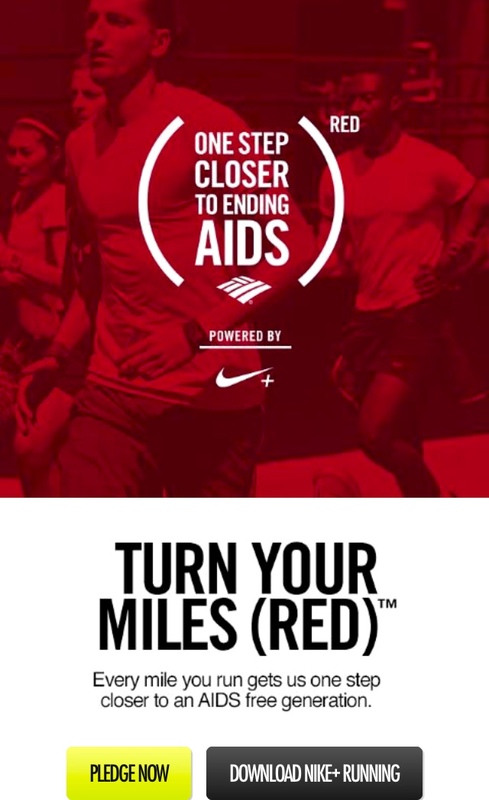 For every mile I ran, Bank Of America would donate 40 cents to (RED), a charity which looks to end the AIDS epidemic in Africa. 40 cents a mile doesn’t sound like all that much. But I’m a supporter of the (RED) organization and I know how far even that small amount can go. So I’ve pledged to run this week and add my miles to the tally. I encourage you to download the app and do the same. It wasn’t a hard decision for me to make. I probably would have gone running a couple of times this week anyway. Apparently it’s not enough just to run a 5K anymore. You either have to have extreme obstacles – Fire. Mud. Barbed Wire. Zombies. Or you have to have color. Don’t get me wrong. I’m not cynical about the rise of themed 5Ks. I’m a participant. 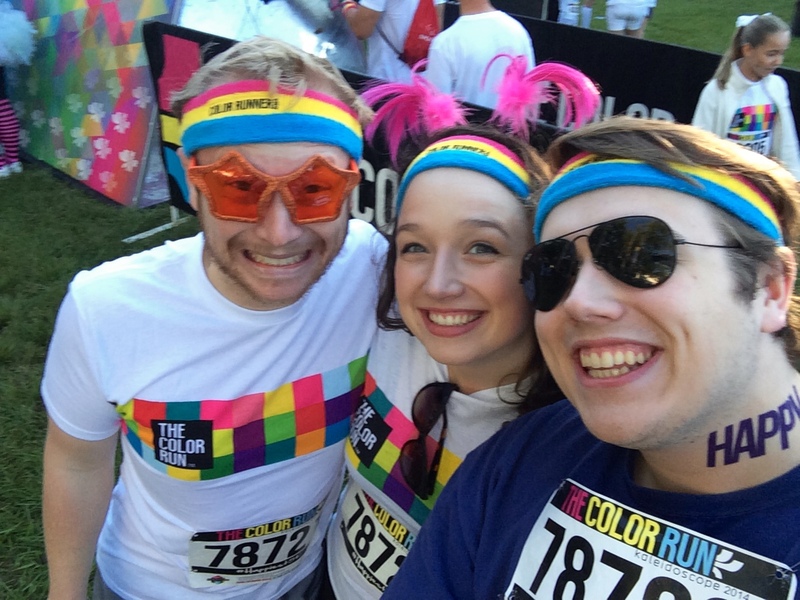 I recently got the chance to do The Color Run in Augusta, GA. For the past few years The Color Run has been sweeping the nation inspiring hundreds of thousands to get off their couches, do something healthy, and have fun along the way. The Photographer said the first take was a “serious” photo. Every youth group veteran knows that means don’t act crazy – smile like it is a family portrait. The next photo will be titled a “crazy” or “silly” photo. Then everyone will jump around and throw up bunny ears and pull out buck teeth… only the photographer followed the first photo by saying, “Okay, now please smile for this picture. Mondays are pretty good for me. On Mondays I wake up to a cup of coffee from Buona Caffe, take a long walk with my dog Roc, and plan out a week full of possibilities. On Mondays I usually get a chance to go running and spend some time working on future blog posts. On Mondays I gather with my closest friends and watch wrestling, something that a bunch of guys in their mid-twenties are probably too old to still do. On Mondays the hopes of a new week are abloom. The problems of the week before have passed. It’s Tuesdays that I hate. Seeing Nike’s latest commercial all over college football this weekend got me thinking – Is winning really everything? Sure, it’s nice to see ourselves ahead on the scoreboard. It feels good to get the win every now and then. And we should always strive to be the best at what we do.